This family-friendly Spata-Artemida hotel is located near the airport, within 3 mi (5 km) of McArthurGlen Designer Outlet and Attica Zoological Park. American College of Greece and Expo Athens are also within 6 mi (10 km). Paiania-Kantza Station is 23 minutes by foot. 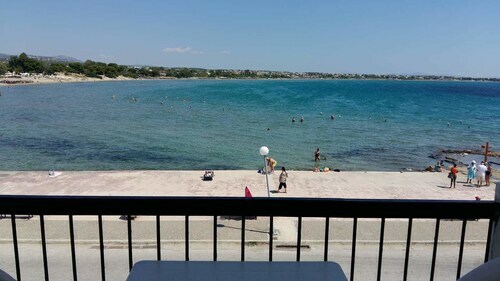 Situated near the beach, this guesthouse is 3.1 mi (4.9 km) from Sanctuary of Artemis at Brauron and within 6 mi (10 km) of Vravrona Tower and Metropolitan Expo. Rafina Port and Attica Zoological Park are also within 9 mi (15 km). 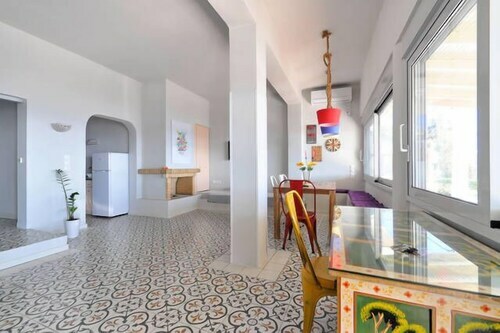 Situated near the beach, this apartment building is within 9 mi (15 km) of Sanctuary of Artemis at Brauron, Rafina Port, and Attica Zoological Park. McArthurGlen Designer Outlet and Vravrona Tower are also within 9 mi (15 km). How Much is a Hotel Room in Spata-Artemida? 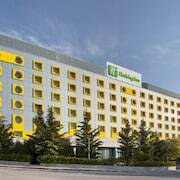 Hotels in Spata-Artemida start at $152 per night. Prices and availability subject to change. Additional terms may apply. Planning a trip to Athens? Seeking a place to lay your head? Travelocity features a wide range of options. 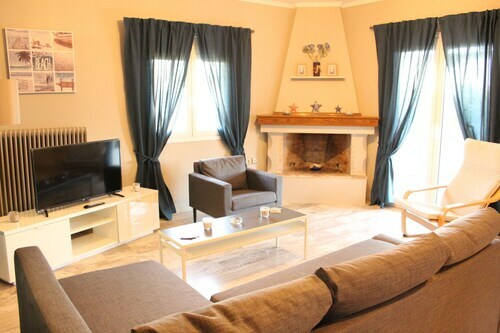 Within an easy driving distance of the downtown of Spata-Artemida, visitors can choose from 13 accommodation options. The Sofitel Athens Airport is one of the most ideally situated Travelocity-listed rooms, one of just a small number of choices within an easy stroll of the Spata-Artemida city center. If you are spending time in Spata-Artemida, then the iconic Attica Zoological Park should definitely be a priority on your list of tourist destinations to discover. 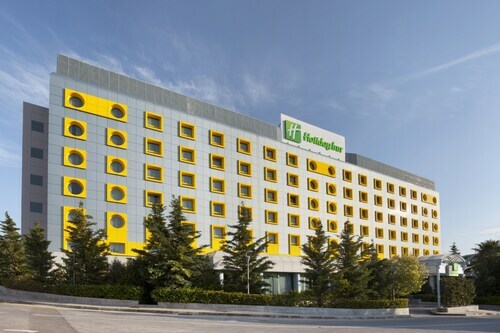 Within a 0.1 miles (0.16 kilometers) radius of this popular tourist spot you will discover the Sofitel Athens Airport and Holiday Inn Athens Attica Av. Airport West. The Grand Resort Lagonissi can be found 13 miles (21 kilometers) away from central Spata-Artemida. Another accommodation option is the Hotel Grande Bretagne, a Luxury Collection Hotel, Athens, which can be found 12 miles (20 kilometers) away. Alternative accommodation options include the King George, a Luxury Collection Hotel, Athens and the Arion, a Luxury Collection Resort & Spa,Astir Palace, Athens. After you have enjoyed Spata-Artemida, you could set out to unveil the other attractions in the Greek Mainland area. If you love nature, be sure to explore Greek Mainland's beaches, coastal plains and rivers. In addition, you should discover many of its castles and traditional villages. Sporty visitors can also take part in snowboarding and skiing here. 13 miles (22 kilometers) to the west of Spata-Artemida, you'll find Syggrou, where you can find Onassis Cultural Centre and Tomb of Heinrich Schliemann. The Nina's Athenian Loft and AVA Hotel & Suites are just some examples of the long and short-stay alternatives in Syggrou. Alternatively, you could stay in Exarhia, 12 miles (20 kilometers) west of Spata-Artemida, where you can pick from the Electra Palace Athens and New Hotel. The Museum and Study Centre of Greek Theatre and Fournos Theatre are a couple of the most popular sites to discover for those visiting Exarhia. Search for Travelocity's up-to-the-minute Spata-Artemida city database to explore the varied things to do, see and eat that the city has in store. Physically, the property (an entire house) was of very high standard for a modest cottage in a semi-rural setting. What pleased us most were the services provided: two way transfer from house to nearby airport. We were collected on arrival and delivered for our early morning departure with ample check-in time. Eugene Dee who manages both property and services was personable and super efficient in the manner of a genteel host. An overall excellent package for the price. 5.0 Convenient, comfortable and right on the water! We were very comfortable there for the night with our 3 kids. Love the space, decor and location. Clean room and wonderful staff. Free Transportation to and from airport was great. Breakfast was lovely. A great value!